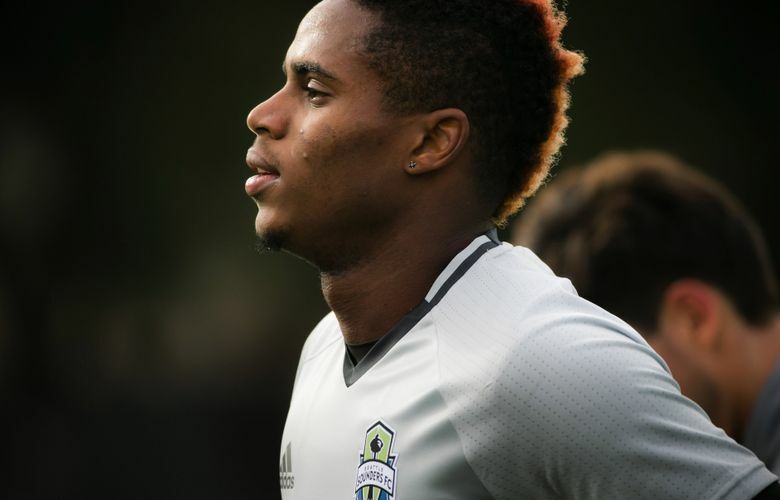 The Sounders added left back Joevin Jones on draft day, dealing a first-round pick and allocation money to Chicago for a player they think will be key in 2016. The acquisition of Joevin Jones didn’t feature a photo shoot on top of the Space Needle or a special presentation involving the club’s owner, general manager, coach and sporting director. The Sounders weren’t even able to officially confirm the draft-day trade for the left back until hours after the details leaked out. They and the Chicago Fire were frantically trying to track down the player to give him the news before going public. But Seattle’s trade of its only first-round SuperDraft pick and allocation money to Chicago for Jones filled the most glaring need in its starting 11. Experience: Member of the Trinidad and Tobago national team at the 2015 Gold Cup. … Has made 38 appearances and scored one goal for T&T. … Made his professional debut at the age of 17. And though defenders rarely inspire the pomp and circumstance surrounding the signing of U.S. men’s national team forward Jordan Morris last week, the addition of Jones was an important bit of business, as well. Wide players always play influential roles on Sigi Schmid’s teams. Sounders sporting director Chris Henderson and longtime U.S. national team standby Cobi Jones played there for Schmid’s UCLA Bruins, and Robbie Rogers for his Columbus Crew. 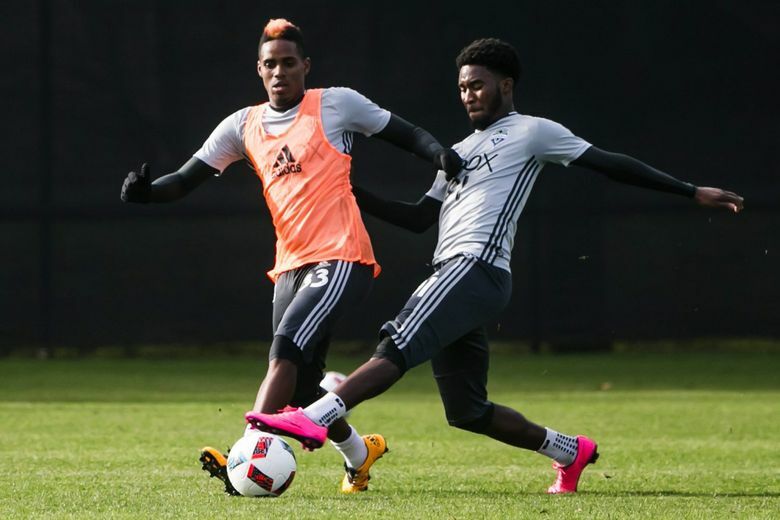 DeAndre Yedlin has been the highest-profile example on the MLS Sounders, but Schmid has always relied on talented two-way speedsters to stretch the field. The need is especially pressing given the tactical tinkering likely to define Seattle’s first few months of this campaign. Schmid has hinted that the Sounders will experiment with a three-forward formation in lieu of last year’s 4-4-2. And while chemistry is being developed and partnerships defined, versatile defenders who can both push forward and cover for mistakes at the back will be invaluable. “Outside backs, even in a 4-4-2, in today’s day and age, outside backs have become far more important and more complete players,” Schmid said Monday. The opening at left back developed in part because of Leo Gonzalez’s age — the 35-year-old signed with Herediano in his native Costa Rica last month — and Dylan Remick’s inconsistency late last season. That a right-footed rookie, Oniel Fisher, was the team’s best defensive option on the left during playoff time spoke volumes. Jones still enters preseason camp as a clear No. 1 on the depth chart. 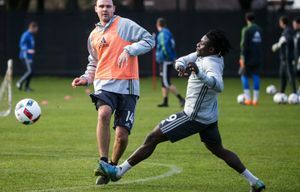 The 24-year-old has been easy to pick out during Seattle’s first two practice sessions at Starfire Sports Complex — orange cleats and nearly-as-bright hair forming a distinctive blur burning up the left sideline. That last point was the first one most of his new teammates brought up. Jones’ hometown of Carenage, Trinidad and Tobago, is a fishing village first and vacation destination second. But the Jones brood is a soccer family. Father Kelvin is a former T&T international, and an uncle also played professionally. “Football is in our blood,” Joevin said with a slightly puffed chest. Joevin Jones made his international debut at 19 in 2010, coming on as a second-half substitute in a match against Panama. He helped lead W Connection, a club on the southern part of his home island, to a league championship and was named team captain before the 2013 season. Jones tried his luck abroad, spending part of 2014 on loan with HJK Helsinki in Finland, before hearing of Chicago’s interest. “The opportunity was a big one for me, to show my worth,” Jones said. That’ll be the case in Seattle, as well, for a team with legitimate MLS Cup aspirations whose lineup shuffling will only increase the pressure on the back line. No, the trade for Joevin Jones wasn’t the headliner of the Sounders’ offseason, but it could be an integral part of their 2016 destiny nevertheless.